Influencer marketing works better in some sectors than others, and is particularly useful in the fashion, luxury and cosmetic realms. According to a report focusing on these sectors by marketing platform Launchmetrics, 90% of professionals say influencer marketing campaigns are most effective for generating brand awareness, while 69% of professionals say influencer marketing campaigns are most effective for boosting sales. 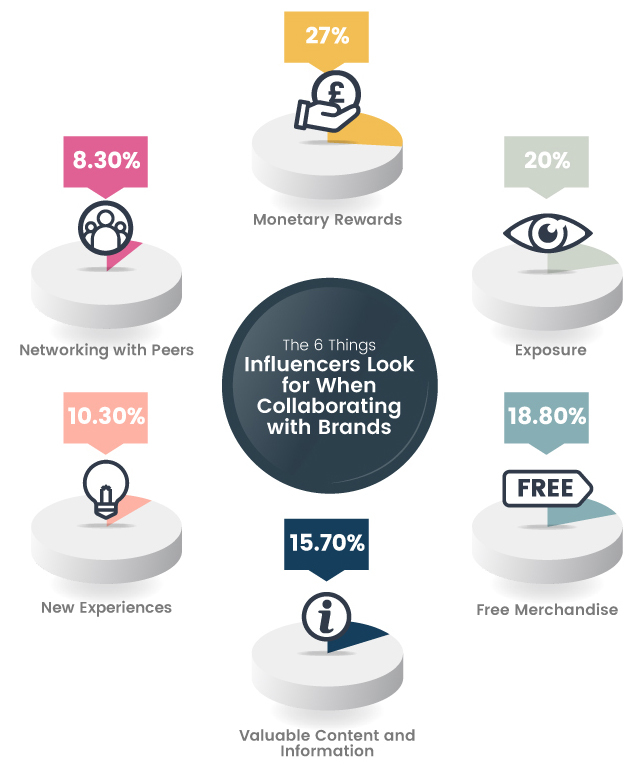 Bathroom specialist Showerstoyou did an analysis of the report to highlight six key rewards influencers want from brands: monetary rewards; exposure; free stuff; content and information; new experiences; and new networking opportunities. Discussing why influencer marketing is so effective for luxury brands, Martin Smith, managing director of Showerstoyou, says: “It’s becoming increasingly important to reach audiences in a different way. Outdated tactics such as cold calling or placing impersonal, generic ads will no longer work with modern consumers. “Influencer marketing is a great asset to explore because it shows brands are not just selling specs, but a lifestyle. Whereby consumers can see a vision that is more than nuts and bolts, it’s how a product will work in their everyday lives. Working with an influencer is give and take. Money may be the main driving force behind collaborations, but there are other incentives to consider. Think early product access, networking opportunities or exclusives unbeknown to the influencer. It’s important to provide and listen to feedback. Yes, you want an influencer who commands their audience and has personality, but to be successful you need to find one that matches the tone of your brand. Understand your message needs to be consistent across the board and socials. This presents a strong bond and unity for brand and brand ambassador. When you feel you have found the right influencer, don’t go in too hard with a nondisclosure and contract. If you start the relationship organically, it should flow through your partnership moving forward. Begin with picking the platform where your influencer is most active and reach out. That could be on Twitter, Instagram, or in the comments of a personal blog. Smith concludes: “By contacting the influencer in the same way their audience does, you can start an open conversation that isn’t alien and impersonal. It will also provide good insight into how the influencer manages and responds to any contact made to their site”. The data for The State of Influencer Marketing in Fashion, Luxury & Cosmetics report is based on interviews with 600 professionals in the fashion, luxury and cosmetic industries. Showerstoyou.co.uk analysed the report in detail, to identify the key things professionals say influencers look for when collaborating with brands.